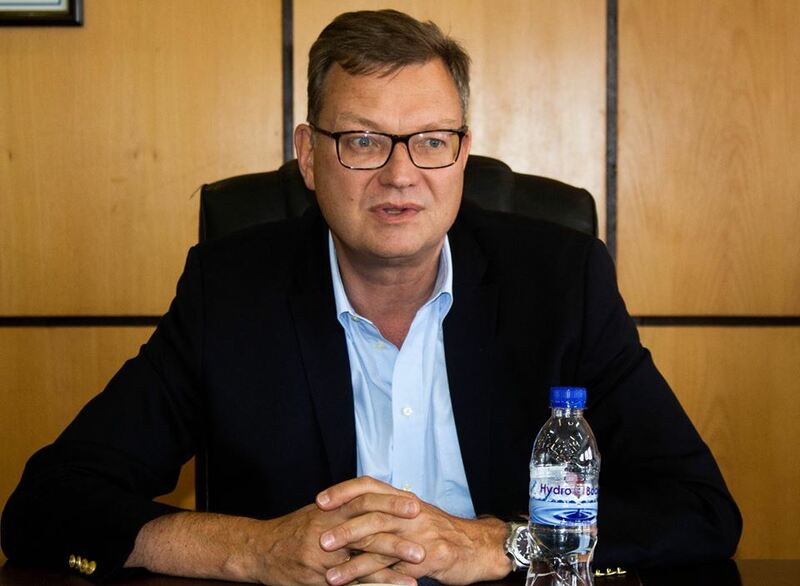 German Ambassador to Zimbabwe, His Excellency, Ambassador Dr Thorsten Hutter has visited the Midlands State University on the 31st of October 2018 as part of his tour of the Midlands Province. Ambassador Hutter was accompanied by a delegation which included representatives from the German Academic Exchange Service (DAAD) among others. During the visit, the delegation paid a courtesy call on the MSU Acting Pro Vice-Chancellor Research and Academic Affairs, Professor Doreen Moyo before meeting faculty deans, academics, researchers and students from various disciplines. The visit was initiated by the Faculty of Natural Resources Management and Agriculture and facilitated by the Department of International Relations. During the interaction with the German delegation, lecturers, executive deans and researchers highlighted possible areas of cooperation with mutual benefits for both MSU and German institutions. Possible areas of cooperation that were discussed included market linkages, research opportunities as well as scholarships for postgraduate studies. 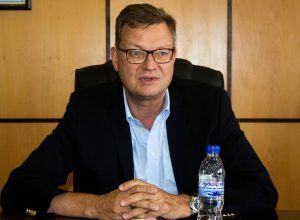 Ambassador Hutter said the Midlands State University can take advantage of the abundance of young private universities in his country and initiate collaborative arrangements as they also reach out to universities abroad. ‘I understand that you are a young university and that is good because we also have some young universities in Germany and we just have to see how we can match them. I also know agriculture companies, people who come here, I also know people who are here. I will speak with them and encourage them to come to the Midlands and have a look at what is possible. I can promise you that,’ said the Ambassador. Executive Dean of International Relations, Professor Andrew Manyawu expressed optimism that the institution will benefit from the information availed during the visit by the German delegation, as it would assist the University in coming up with future collaborations with German institutions. ‘We can promise you that going forward we are going to be coming up with very interesting projects and ideas that we can mutually benefit from as institutions from Germany and as Midlands State University,’ said Professor Manyawu. During the meeting, the German Academic Exchange Service country representative Ms Roma Gendera delivered a presentation guiding prospective applicants on how to get postgraduate scholarships in German Universities.